If you don't know me already, my name is Andrew. 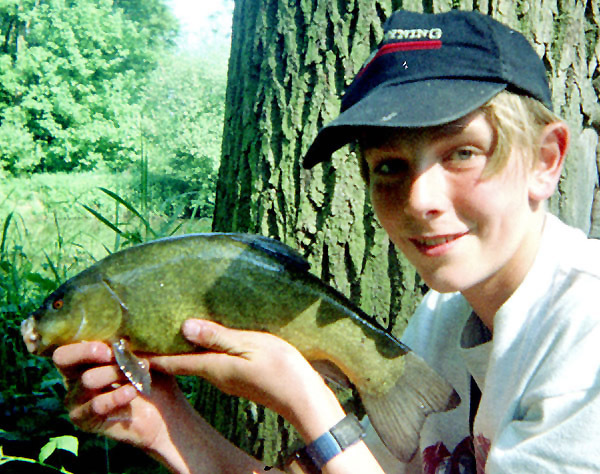 I come from Derbyshire and I've spent the majority of my spare time fishing, ever since I was 5 years old. My dad bought me a telescopic fishing rod when on holiday in Ibiza, and ever since then, I've rarely been seen without (ahem) my rod in my hand! By the age of 15 I'd become competent enough with a pole to win the local annual Junior Match (quite an accolade amongst my friends at the time! 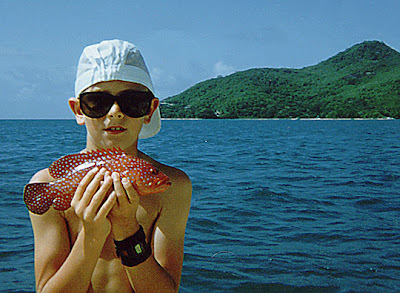 ), but like most young anglers, I became seduced by those large, uncatchable, golden fish, which I would often see cruising around near the surface. I'm talking, of course, about carp. 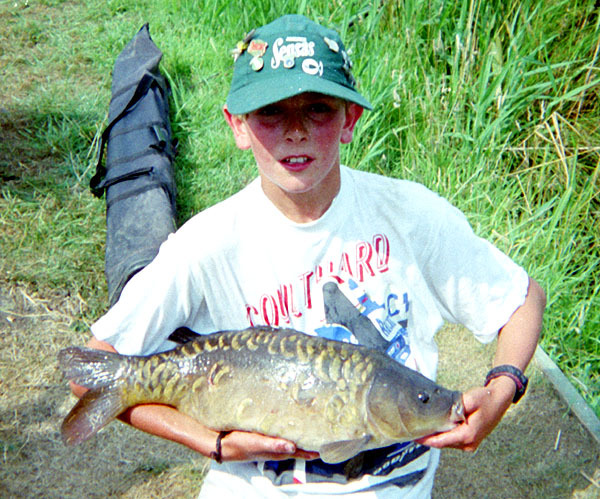 After a few years of almost solely targetting an elusive specimen carp, I became very bored of the species, or at least got bored of the boilie/bivvy approach which had become the norm. A chance enounter with an 18lb pike on my first serious session for the species changed my outlook on fishing completely. Since then, I have broadened my Specimen-Hunting horizons to cover all manner of species, using a vast array of methods, both traditional and modern. In 2005, I was lucky enough to be given a chance to contribute regularly to a popular angling website, AnglersToday.co.uk. Since then, my confidence as a writer (and luckily, my catch rate!) has improved no-end, and I now produce seemingly endless amounts of drivel-based angling literature! 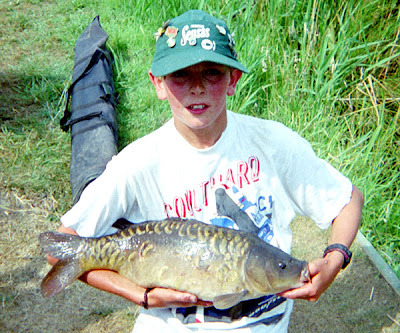 I have also had the majority of my articles printed in the Angling Star Magazine. 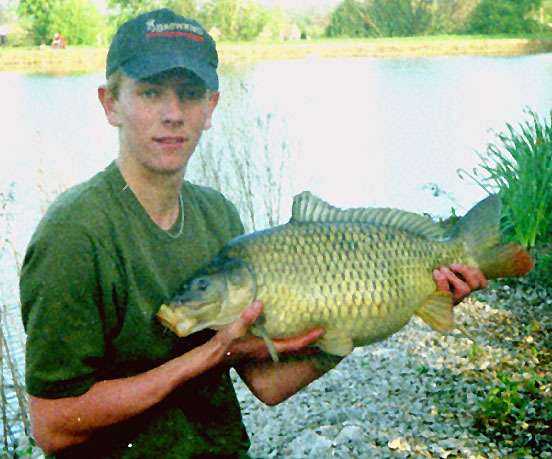 Throughout the entire learning process of my Angling "Apprenticeship", I have been accompanied by my very good friend, Matt Liston, who you will see many photos of in my articles. Matt's a very good angler and a great thinker, so as a team we bounce ideas off each other, which continually improves our collective and individual angling abilities. Plus, there's just a hint of friendly rivalry which can only be a healthy thing when it leads to us both trying to catch more and bigger fish. Fishing with Matt has taught me, amongst many things, the value of having a good fishing buddy. 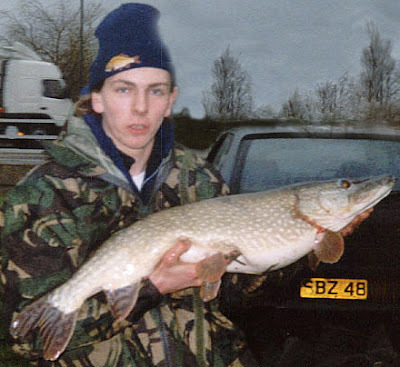 In recent years, old friend Craig Croft-Rayner has also become a semi-regular fishing buddy and along with anglers such as Kevin Miles, Will Barnard and Shane Calton, also features in the odd one or two of my articles. So, to summarise, I'm just a "normal" Specimen Hunter, who fishes waters available to anyone, with my own tackle and my own experience I've built up over the past 20+ years as an angler. I've caught fish in fresh and saltwater, on bait, lure and fly, from 5 Continents around the World, and fished for countless more species which I didn't catch! I'm constantly looking to improve my own angling skills and I like to think I have at least enough experience and skills to teach something to anyone willing to listen. Besides this blog, I also have a website where I host all of my previous articles, most of which have previously been published in Angling Star or on anglerstoday.co.uk. Please take a good look around my website, have a browse and a read. I'll try and keep it as up-to-date as possible and will hopefully have plenty of interesting features for you to read in the future.